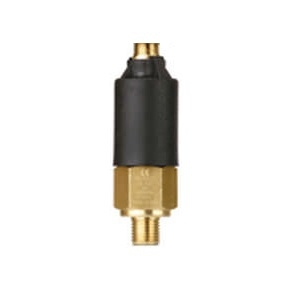 Pressure Switch PMN NO 1/4“ PRESET 5,5 FALL M12 | DamenCNC B.V. 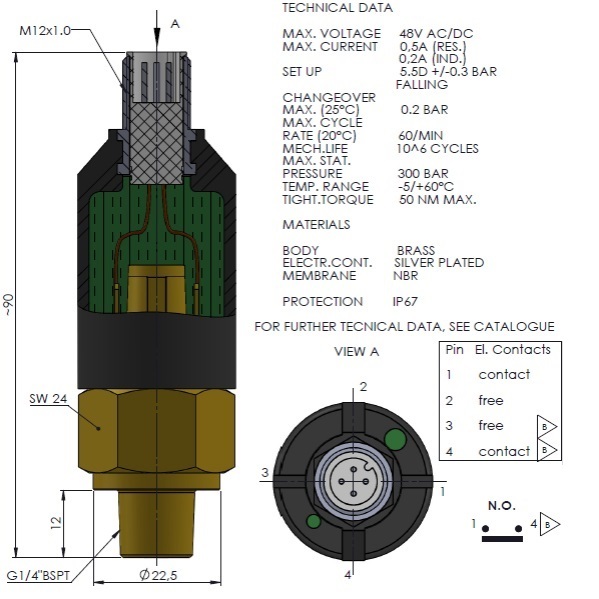 This pressure switch ahs been custom made for use with ATC motors. 9 out og 10 ATC motors need at least 5-6 bars pressure to operate correctly. This pressure switch, switches at 5,5 bars. The electronics contact closed the the pressure is higher than 5,5bars. It has been designed in this wat, so the switch can't be tampered with. If you connect it to a safety system, ut will be tamper proof. 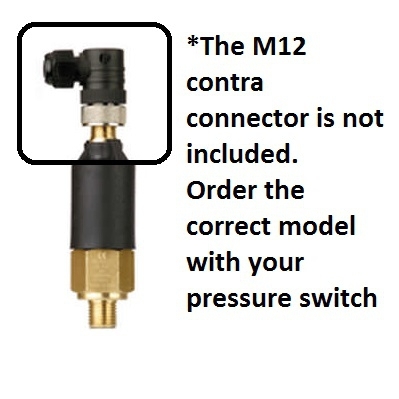 If someone tries to over rule the system by disconnecting the sensor, the system will see this, since its expecting to see a normally closed contact from the switch. Also if someone would forget to connect it, the system would then indicate the pressure is too low.